Most Christians avoid Halloween altogether. This year, why not view this day as an outreach opportunity! 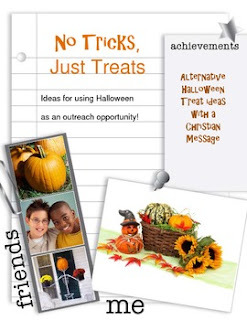 This resource includes ideas for creating 15 Halloween treat ideas with a Christian message. Includes printable cards to attach to suggested candy.